Rainy evenings are normally cause for staying indoors--unless you're a photographer looking for a rare photo op, and you happen to be at the Happiest Place on Earth, where it really doesn't rain all that often! These holiday night shots were captured after a rain storm last week, when the pavement was still relatively slick, providing a delightful glow to the ground cast by the lights of buildings and lampposts around. 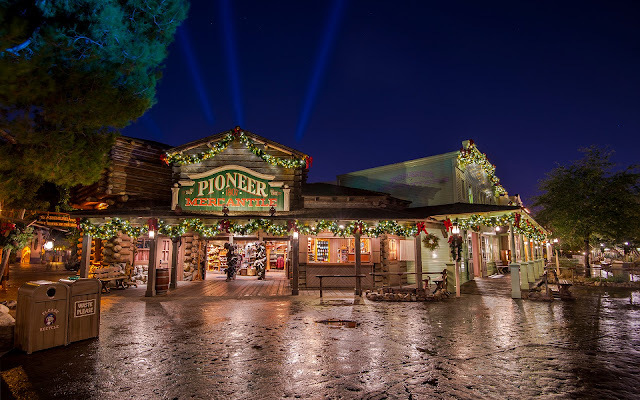 I sprinted all around both parks to grab as many photos as you can, so today, Frontierland comes up to the dock for rainy night Disneyland pictures! The Pioneer Mercantile has extra holiday glow on this night! 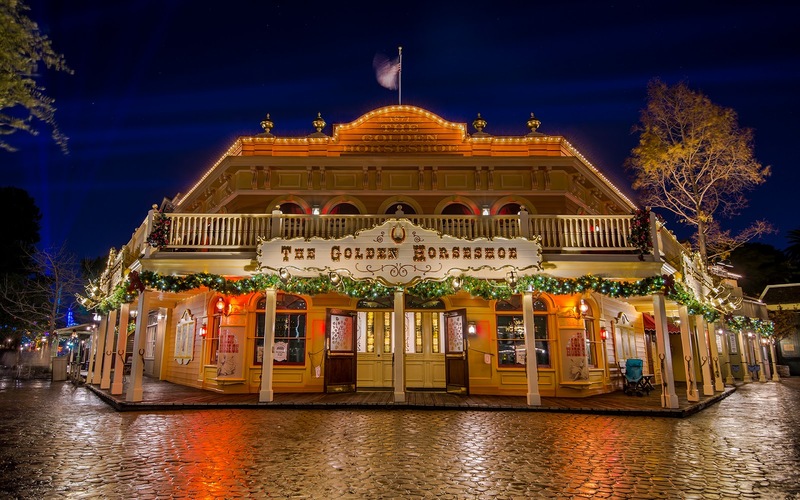 The Golden Horseshoe is similarly lovely in its Christmas dressing.